Designed for use by students who need help with thesis-driven essays that require analysis of literature with quotations. Ideal for use in English and History classes. 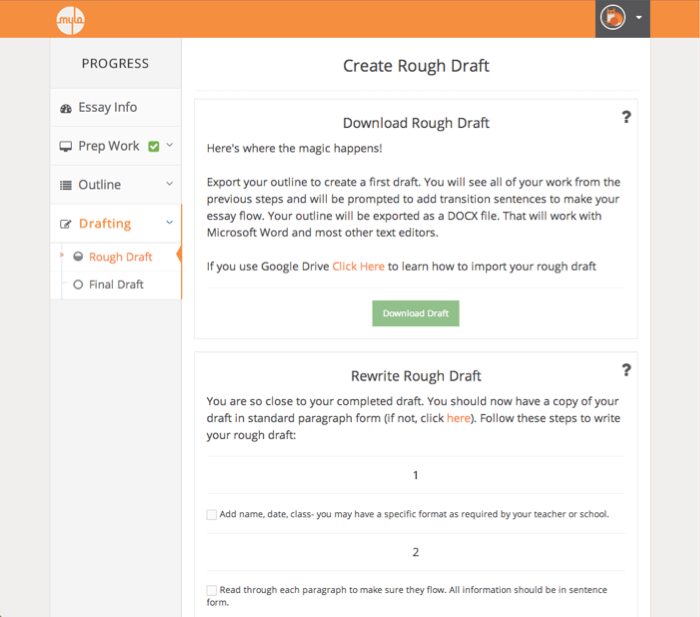 Outline and draft content step-by-step. Analyze and quote supporting evidence. During the prep stage, students gather resources and formulate a thesis statement. MyloWrites integrates multiple resources for exploring and inspiring ideas. Students are guided step-by-step in collecting and analyzing evidence, honing their ideas, and developing a solid thesis statement. A well constructed outline is the key to a quality essay. The outlining tool in MyloWrites takes the previously completed prep work and inserts it into the format of an outline. The student is prompted to add topic and concluding sentences. An essay begins to take shape ... as if by magic! MyloWrites exports the outline to Google Drive with appropriately placed prompts for transition sentences. Checklists help make sure the draft is complete before students hand it in. 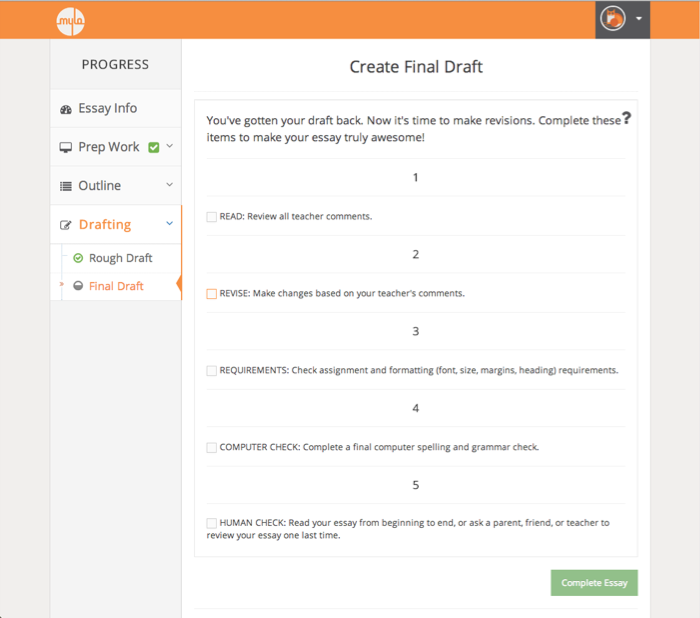 MyloWrites provides reminders for due dates so papers are never late and a list of final revisions for students to complete. All of the work has been saved and is easily accessible by the student. 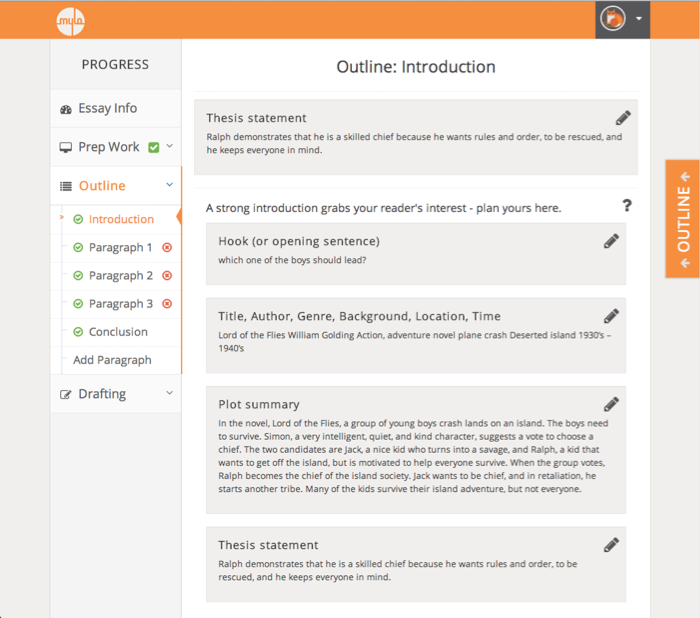 MyloWrites supports students through every step of the writing process. 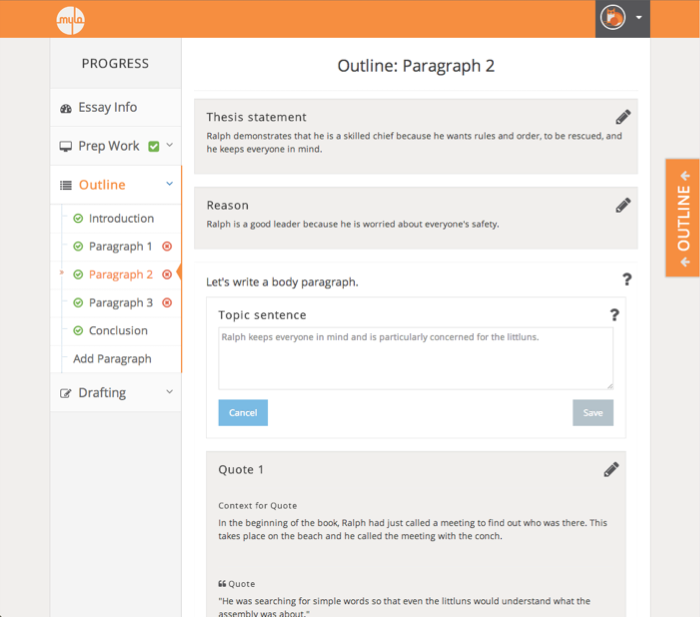 Whether assistance is needed to write a thesis statement, learn how to analyze a quote, or create a thorough outline, MyloWrites is there to help.